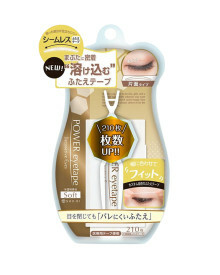 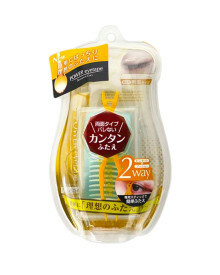 Ensure eyelid is clean and dry or after apply eyeshadow. 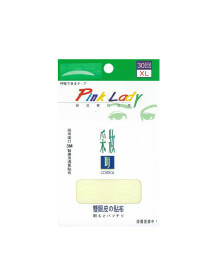 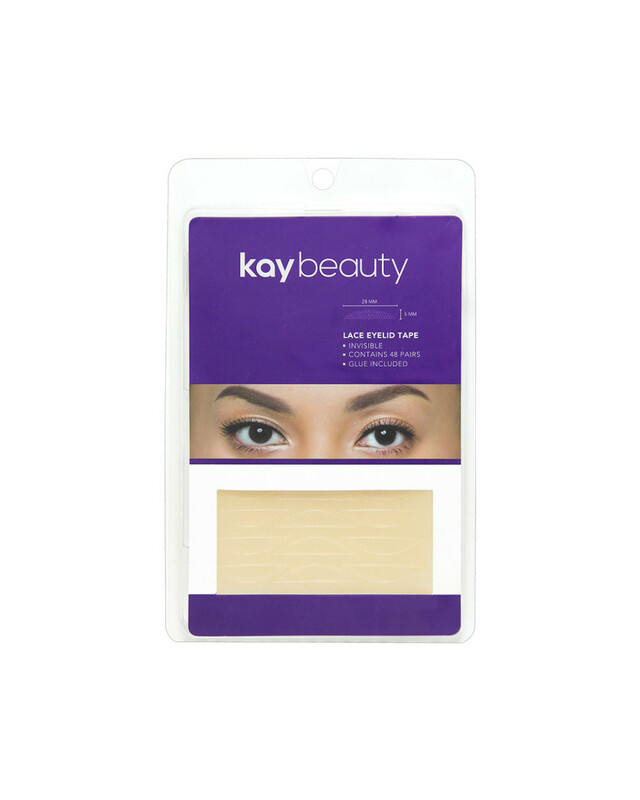 Peel lace eyelid tape from the sticky plastic and place it on your hand. 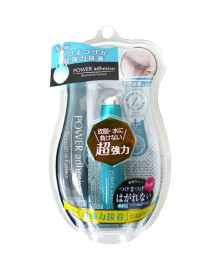 Place a thin layer of eyelid glue on one side. 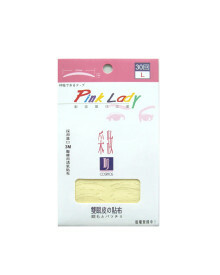 Wait 3 seconds until glue is half dry and placethe lace eyelid tape above your eyes.